With a few days off from doing bird surveys, I decided to stay in the eastern part of the state and see if I could catch any eastern warblers in Fargo, ND. After hearing reports of some days of almost 20 warblers I was expecting a great day. I decided to start at a location along the Red River called Forest River. This park used to be a neighborhood but the amount of flooding from the river ended the hopes of a neighborhood in this location. Now the entire area is natural with a mixture of ornamental plantings from the nonexistent neighborhood. I wasn't sure exactly where it was but I quickly found the spot. After a short period I came across a small flock that contained Magnolia and Bay-breasted Warblers. 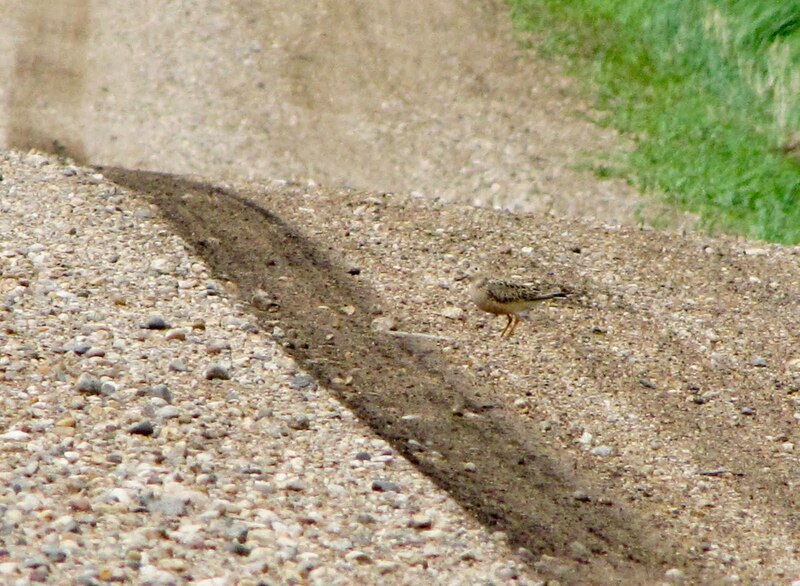 While searching this small flock I ran into a local Fargo birder and we continued on without many highlights other than a great look at a Yellow-bellied Flycatcher. 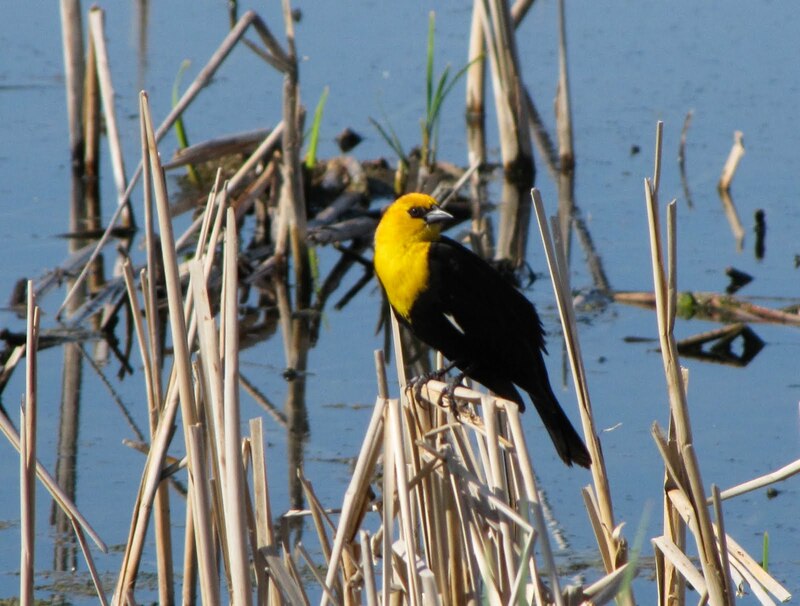 Yellow-headed Blackbird-one of the common sightings in the marshes of North Dakota. After a little while we ran into two more birders from Fargo. I had come to this spot because of their posts on the ND listserv so it was nice to put faces with the names. After talking about some local birding spots, I learned that the the sewage lagoons, a place I was planning on visiting, is not accessible without a key. And even if you happen to have a key you don't really have permission to be on the property. 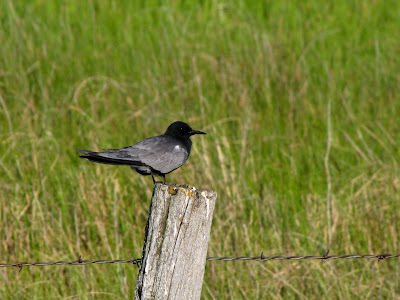 Luckily, Keith, one of the other birders, had spare keys that he offered so I would be able to bird the property. 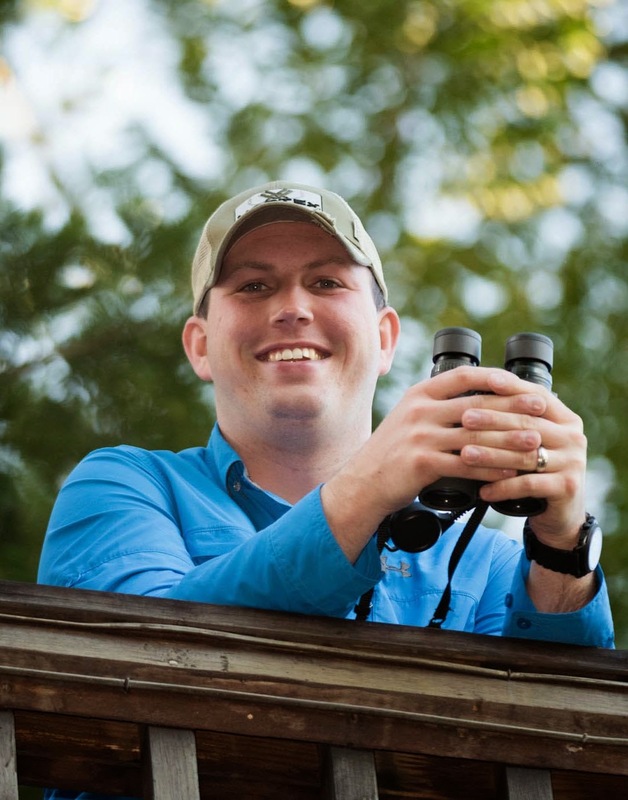 However it didn't come to that because, Bob, the other birder from Fargo, decided to check out the lagoons. Buff-breasted Sandpiper-one of the awesome shorebirds that can be found migrating through North Dakota. When we arrived at the lagoons it was a bit dissapointing finding the mudflats mostly devoid of birds. On the drive in we had 3 Sanderlings and after a little searching of the mudflats of one cell and the mud edges of another cell we were able to find a couple highlights. These included Red-necked Phalarope and Hudsonian Godwit. 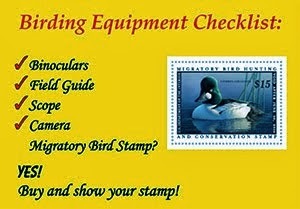 After getting many tips on birding locations to visit farther in the central part of the state, I started heading west. Today was very dissapointing due to 40 mph wind gusts which created very difficult birding conditions especially when looking for grassland sparrows and Sprague's Pipits. I changed my plans and just searched for shorebirds and waterfowl instead. 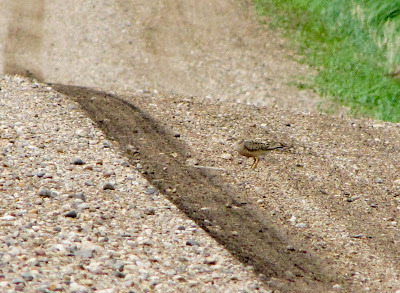 With some effort I was able to find 2 Buff-breasted Sandpipers that allowed great scope views. A little while later I had a Clark's Grebe that allowed great looks for as long as I wanted to watch. The grebe was so uninterested in me that it slept for almost the whole time I was there. One of these is not the same-Can you tell what two species are in this photo? 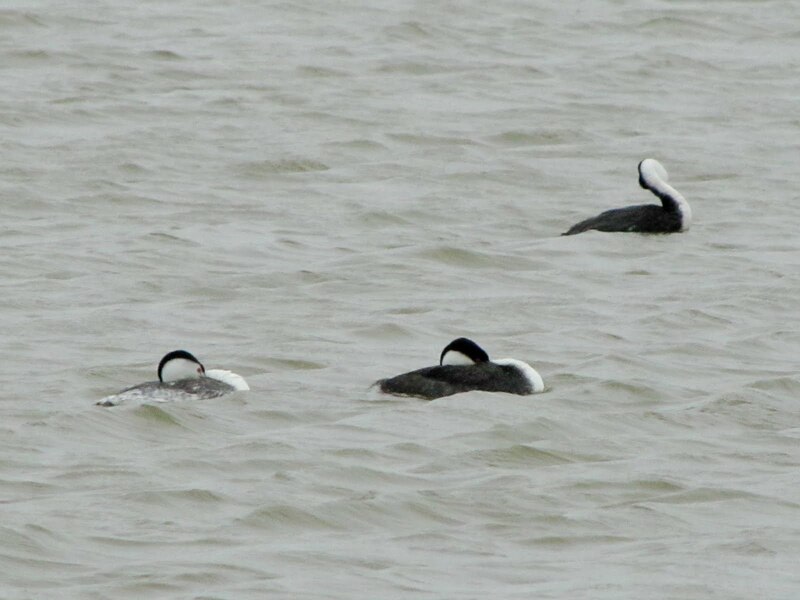 I ended the windy day at a site that has breeding Red-necked Grebes every year. I was not dissapointed and was able to get good scope views of one bird. In the same marsh as the Red-necked Grebe I also had many other species of breeding waterfowl along with Sedge and Marsh Wrens. Black Tern-one of my favorite birds that inhabit the marshes of North Dakota. Wonderful shots of all the birds. The Yellow headed Blackbird is my favorite.